There is an urgent need to ensure that students are ready for the jobs of the future. Now more than ever, college graduates with real world experience are needed for even the most entry-level of jobs, according to economists with the Federal Reserve who spoke at STC's 6th Annual Binational Innovation Conference (INNO) Sept. 28. The event welcomed the brightest minds in industry, education, and economic development, who each brought pertinent information focused on innovation and the impact of students on the future workforce. INNO is the name of the bi-national collaborative effort between STC and El Instituto Internacional de Estudios Superiores (IIES) in Reynosa, Mexico that provides entrepreneurs and the business community with information about new cross-border economic opportunities. Notable speakers at the event included Blake Hastings, an economist with the Federal Reserve Bank of Dallas, who gave an economic overview of the South Texas region including the Rio Grande Valley. Julian Alvarez, Commissioner Representing Labor for Texas Workforce Commission (TWC) spoke on developing a future workforce using soft skills and technology. PSJA ISD Superintendent Dr. Daniel King spoke on education and workforce development vital to the Texas economy. An afternoon panel discussion with economic experts included Marie McDermott, Executive Director of Weslaco EDC; Victor Perez, Executive Director with Pharr EDC; Joey Treviño, Executive Director of Edinburg EDC; Sergio Contreras, President and CEO of the RGV Partnership; Ramiro Garza, President of RG Economic Advisors; and STC Trustee and President of Starr Industrial Foundation, Rose Benavidez. 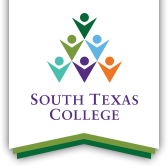 Over the years, thousands of students have studied at STC and entered or re-entered the workforce with newly acquired skills. The accumulated contribution of former students currently employed in the state workforce amounted to $325.4 million in added income, according to an economic study produced by the college. As the skill sets of employees rise, there is an increase in salary that follows. By developing their skill sets, not only do students receive the opportunity to earn more money, they become a more valued member of their respective companies.